Parents Magazine 2009 Best Toy Award. 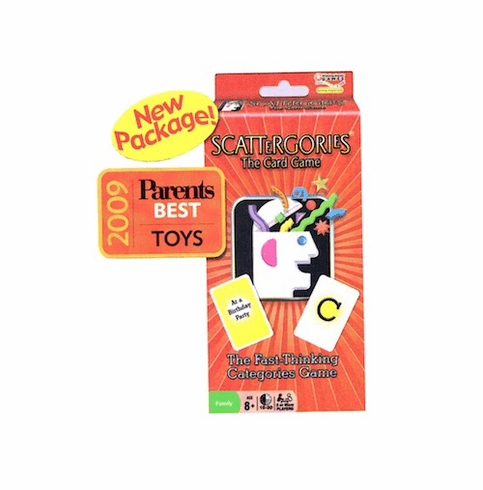 A fast-playing, portable game of Scattergories. Contains deck of letter cards, deck of category cards, 2 "I Know" cards, card tray and rules. Ages 8 and up.